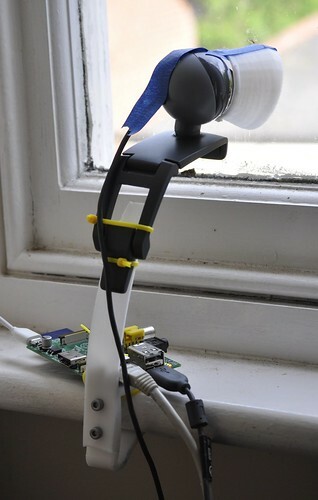 This isn’t so much a Howto (as other people have already written that up very nicely) but a post on what I am using one of my Pi’s for. Arch linux is built with a more sensible set of defaults and works out of the box. I pushed the arch image onto a fresh SD, did a swap, ssh’d in and set up a simple ffmpeg webcam server, very similar too the guide I linked to above, but I was only interested in getting an asf stream out. 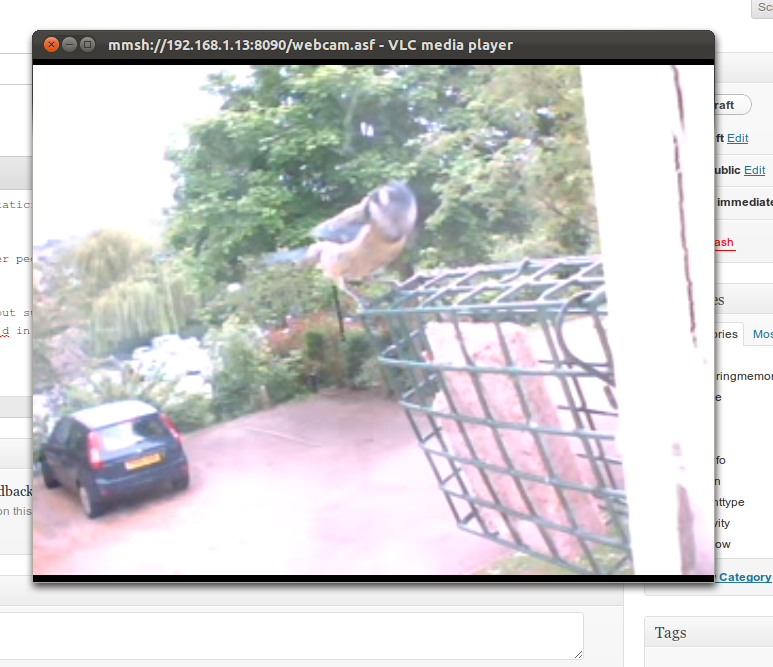 I have connected my D90 camera to the Pi as well, via one of the GPIO pins. I used the helpful information and cable pin-out for the shutter release from http://www.doc-diy.net/photo/remote_pinout to work out what to do. 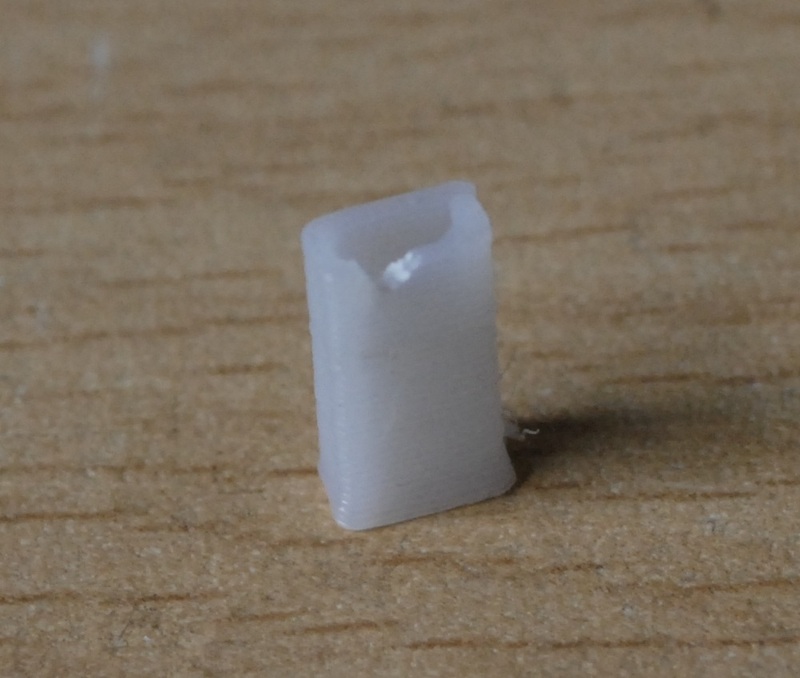 I wasn’t going to pay £20+ for an attachment that I was only going to butcher anyway, so I printed a small insert (x=5.2mm, y=2.8mm z=10mm with a 0.5mm perimeter) to fit in the socket. Close-up of the insert, showing the notch cut into it. The wire is threaded through the centre and out and the end folded over to pass through the notch – aiming to connect to the correct pin for the shutter control. A thin layer of tape is wrapped round the outside, to stop the wire end touching the grounded socket case. Plug it in and see if it will take a photo when this wire is connected to the socket casing! 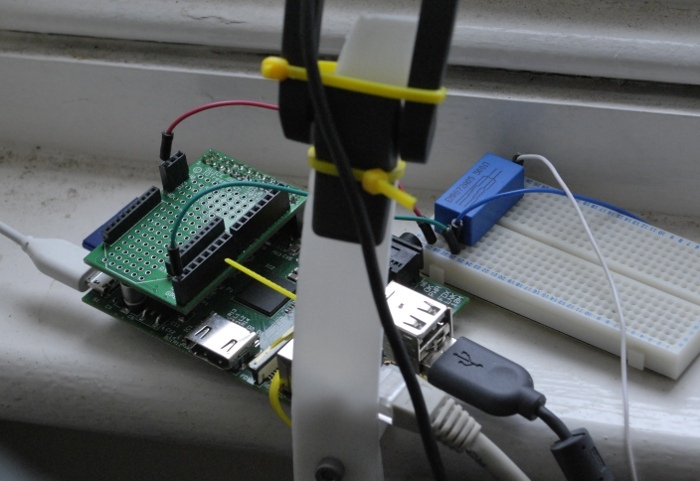 Using the Slice of Pi breakout board, I connected GPIO pin 0 and Gnd to power a relay switch, connecting the shutter wires to the switch itself. 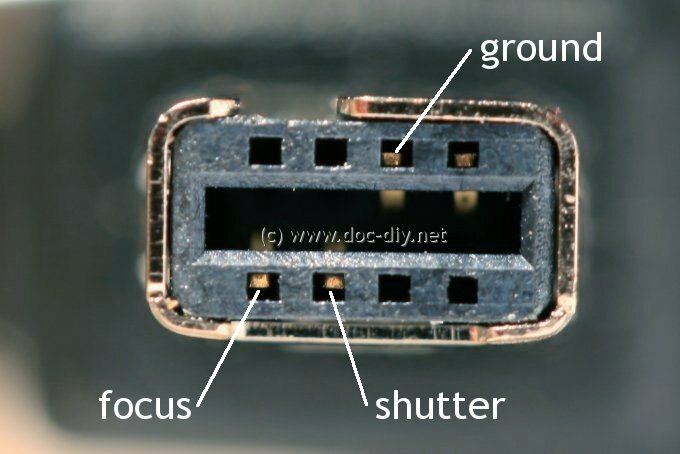 Try using gPhoto2 to control the camera over USB? Seems more logcal that hacking the remote trigger port. That would be one route, and using ffmpeg to grab a frame from the outgoing feed might be another. I don’t want to hook up a power supply to the D90 though (as I don’t own one or parts to make one) USB connection flattens the battery when I’ve used it last. Like this idea. 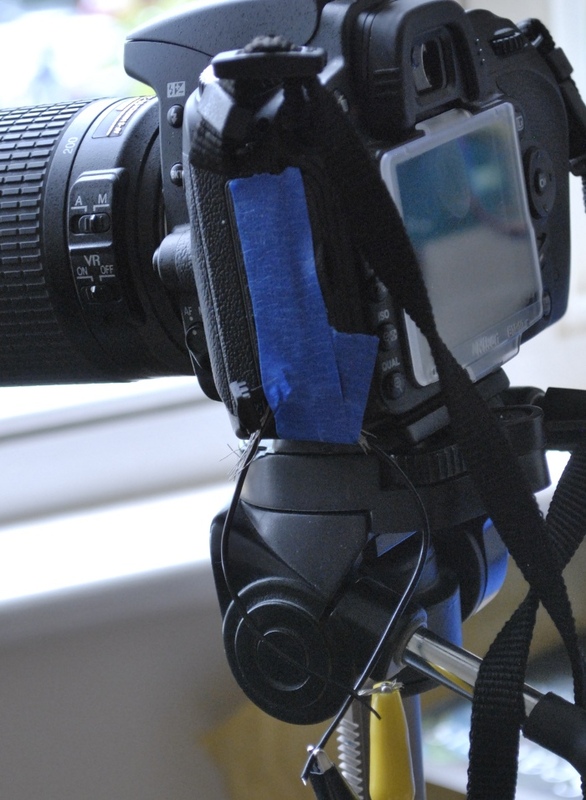 A video encoder attached to a dslr camera sending wifi to iPad or wifi device.. Remote control would be an added bonus. that is a good one trick … well organized …. but the main problem wil arise when i need to use same kind of webcam for my purpose .. and i know i need to handle a lot of difficulties when getting link up all the devices …. phewww …. may be your written text and images will help ….